Here we are ladies and gentlemen, the official halfway point of this very controversial series. While I’ve praised the craft that both Tom King and Clay Mann have put forth, at this current juncture I’m left mixed on the series overall. I can see the story that King wants to convey with the most iconic characters in all of comics, but the cracks in the armor are starting to show just a tad. Perhaps this issue begins to turn the series around for me? Warning the following review will contain spoilers, so remember to read your comic before reading this review. You have been warned. After the figurative bomb drop from the last issue, I do respect King’s decision to slow the pace down for this issue. To many times in these big event type stories, the pacing is a constant thrust forward and character development is all but thrown out the window. Now while I disagree with how Booster Gold and Blue Beetle have been handled, seeing them just hang out on the couch discussing their insane plane is a joy to read. King captures the essence of what has made these characters likable over the past two decades. It’s uplifting in a way to see Beetle help his friend deal with the trauma that circling him. Perhaps that’s story King is trying to tell, that even superheroes need someone else to carry the burden. I think I might be on the right track. What’s odd is how King is treating the world around Heroes In Crisis and it’s a line of dialogue from Superman say when he’s with Lois and it falls. 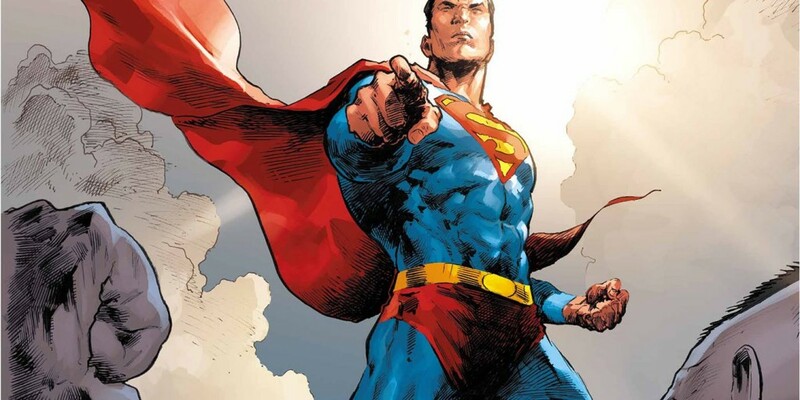 Superman says that the public is afraid of their protectors now that Sanctuary is no long a secret, but nothing within this comic or this series would ever lead you to believe that the normies of the DCU would ever fear their heroes. I understand what King is trying to say, but you need to show your readers how the rest of the world is reacting, even if it’s only one splash page it would service the story better. Even though this series is aiming to be a more intimate story, the second you mention how the public will react, you have to show it. No excuse not to. Is it a real surprise when I say that Clay Mann is the MVP of this series? While most fans will gawk at Mann’s gorgeous linework and beautiful splash pages, true to form Mann brings this emotional roller coaster to life. My personal favorite character work from Mann is Wonder Woman touching Superman’s hand during his speech. It’s such a small moment but when you see Superman struggle to continue his speech, he claps his hands unsure of his words and it’s only through Diana’s touch that he’s able to recompose himself. This one page makes Superman feel more human than the previous issue. Even though I’m still split on the Sanctuary recordings showing up, Mann’s character work is on it’s best here. Some of these stories hit harder than others but they all have some kind of emotional impact thanks to Mann’s pencils. The slight changes in facial expressions to small changes in how their hands move or how subtly they move their hands. She touch his shoulder, not his hand. This is a nice review but it’s just not doing it for me. The only reason I’m buying the rest is because I got this far.